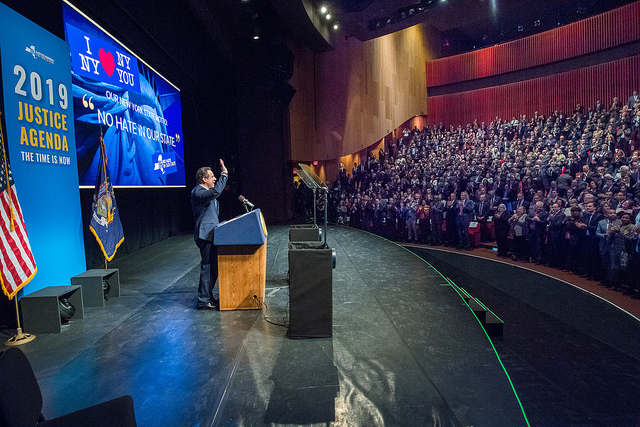 Through his January State of the State tour, 2017 policy book, and executive budget, Governor Andrew Cuomo laid out his proposals for such measures -- an ambitious reform agenda, but one that the governor has done little to promote publicly since January. On Wednesday, the Democrat-led Assembly aligned itself with Cuomo, a second-term Democrat, on measures like voting and campaign finance reform, while separating on other items related to transparency and budget control. The Republican majority in the Senate, on the other hand, rejected virtually all of Cuomo’s “good government and ethics” proposals. The one-house budgets are statements of priority from the majorities of the two legislative houses, and set the stage for the final weeks of negotiation before a new state budget is agreed upon before the April 1 start to the new fiscal year. Government ethics, voting, and campaign finance reform do not appear to be particularly high on the list of priorities for Cuomo, the Assembly majority, the Senate majority, or the Senate’s Independent Democratic Conference (a group of eight breakaway Democrats that has a coalition agreement with Senate Republicans but nevertheless put forward its own conference budget resolution on Wednesday). 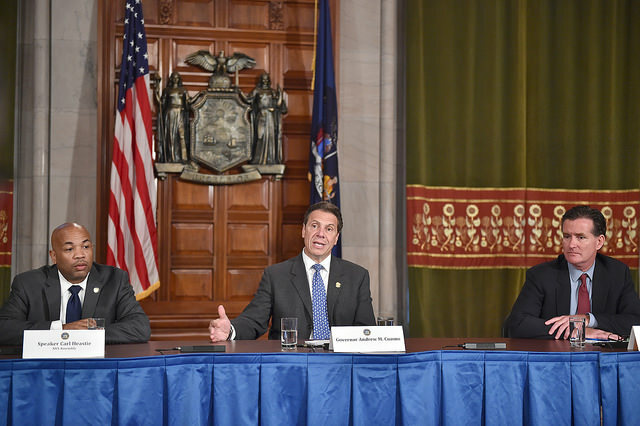 Both the Senate and Assembly majorities pushed back on Cuomo’s move to secure more control of the budget, specifically a provision Cuomo had outlined that would allow the governor to slash funding mid-year in the event of federal cuts without consulting the Legislature. The legislative majorities also both rejected Cuomo’s call for the creation of new inspectors general appointed by the governor’s office to oversee the Port Authority and the State Education Department. They also indicated that they oppose proposals that expand the powers of the state Inspector General and extend the state’s freedom of information law (FOIL) to the Legislature. However, a major difference between the two chambers is the status of the infamous “LLC loophole,” which permits politicians to benefit from virtually unlimited corporate campaign contributions -- its closure, good government groups say, is essential to stemming pay-to-play politics and corruption. 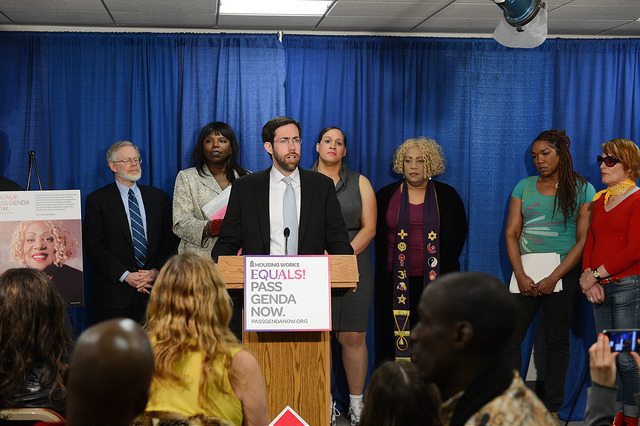 An Assembly bill to close the loophole, sponsored by Assemblymember Brian Kavanagh, has passed multiple times with bipartisan support, and Cuomo has indicated he would sign the legislation if passed by both houses. Yet, the Senate has not brought such legislation to the floor for a vote, despite a companion bill existing for years. Both Cuomo’s executive budget proposal and the Assembly’s one-house resolution recommend that LLCs be subject to the same campaign contribution limitations as other corporations and require that the owners of each limited liability company be disclosed, but the Senate GOP’s resolution makes no mention of the legislation. It vaguely indicates that the Senate will “consider modifications” to the governor’s ethics and good governance proposals. “Any ethics reform requires balanced and measured actions to ensure New Yorkers are best served by their public officials,” the Senate document states. On the Senate floor Wednesday, Squadron asked Senator Catharine Young, a Republican from Chautauqua and Allegany Counties who chairs the Senate finance committee, for confirmation that the Senate Majority will not block closure of the LLC loophole in the final budget. “Under the Article XII bill that we introduced, we did not make any modification to the governor’s proposal, however in the resolution we say we are open to making modifications to the governor’s proposal,” responded Young. 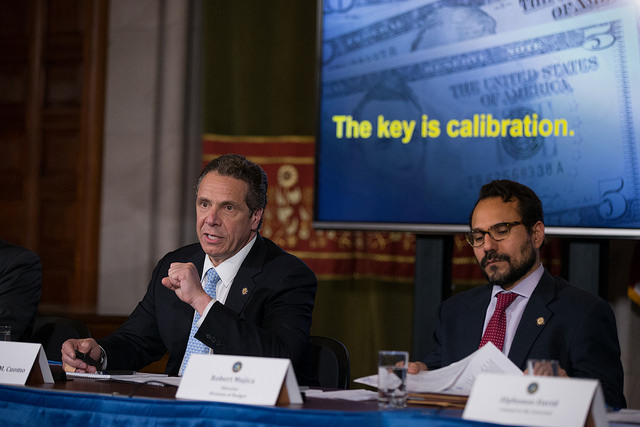 Cuomo's wide-ranging, 10-point ethics reform agenda advocates for a public campaign financing system, early voting, and several additional measures that reform-minded advocates and legislators have been calling for, as well as others of his own. One of the governor’s proposals would require lawmakers consult the Joint Legislative Ethics Committee regarding any outside income, but stops short of banning such income. Cuomo also wants to significantly cap the outside income legislators can make. Legislators addressed the proposal in February, when the Senate and Assembly passed a joint resolution requiring any legislator earning more than $5,000 in outside income to seek an advisory opinion from the Legislative Ethics Commission as to whether the employment is consistent with the Public Officers Law. 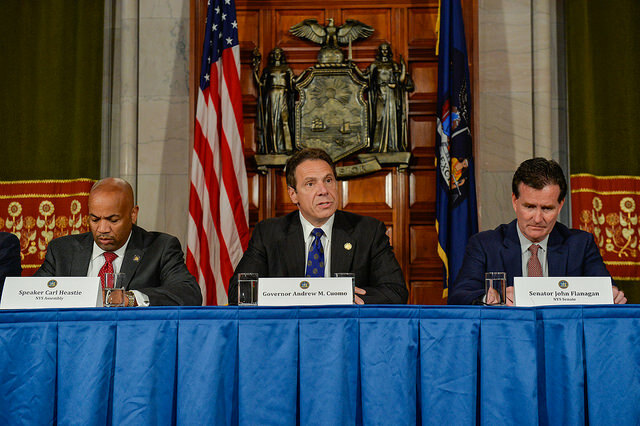 In their budget resolutions, the Assembly and Senate both call for increased disclosure and transparency requirements for the members of Cuomo’s 10 Regional Economic Development Councils (REDCs), which have been accused by lawmakers of self-dealing. The Legislature want to require council members to file annual financial disclosure statements, adhere to the Code of Ethics and FOIL requirements in the Public Officers Law, and abide by the open meetings law. Cuomo and his allies have pushed back on the idea of these disclosure requirements, saying that the regulations would make it difficult to recruit new members, who are volunteers and typically successful businesspeople. “Now several members want to derail the REDCs by requiring their members to disclose personal financial information to a degree that is inappropriate for a private citizen volunteer,’’ Virginia Horvath and Jeff Belt, co-chairs of the governor's Western New York regional economic development council, wrote in a Feb. 27 letter to Western New York legislators, according to the Buffalo News. Meanwhile, in campaign finance reform, the Assembly is proposing new legislation to “prohibit housekeeping monies from being transferred or contributed out of the account to another segregated housekeeping account” or to be used “for political communications referencing a candidate.” An Assembly spokesperson confirmed to Gotham Gazette that this proposal is in response to tactics used by both Senate Republicans and the Independent Democratic Conference during recent election cycles. While both Cuomo and Assembly Democrats favor creating a system of public campaign financing, perhaps similar to New York City’s, the Assembly did not specifically include that in its one-house and Senate Republicans in their one-house budget resolution again expressed opposition to taxpayer-funded campaigns. Senate Republicans also stated that they do not believe a full-time professional Legislature best represents the state -- meaning they do not want to see strict limits placed on legislators’ outside income. The Senate majority also stated its objection to Cuomo’s proposal that the Legislature and the Legislative Ethics Commission become subject to the same freedom of information law provisions to which executive agencies are subject. “The legislative process is inherently open to the public for input, scrutiny and review. In contrast, the public is made aware of many Executive agency activities only after they occur. As such, for purposes of freedom of information law, these branches are treated differently,” the Senate’s one-house resolution states. The resolution notes that confidentiality is necessary with respect to the legislative ethics commission in order to encourage individuals to seek ethics guidance. As for voting reform, the Assembly voted to agree with Cuomo’s calls for automatic registration and early voting, but recommends a period of early voting commencing eight days before an election rather than the 12-day window proposed by the governor. Like the rest of Cuomo’s reform proposals, the Senate did not give indication of support to voting reforms. As usual, there was little drama in the Assembly, where Democrats hold a wide majority margin. But, in the Senate proceedings grew contentious Wednesday when mainline Democrats were forced, with little notice, to vote on two one-house resolutions, one for the Senate Majority and one for the Independent Democratic Conference (IDC). This, while Senate Democrats were blocked from submitting their own resolution for a vote. In a headed session on the Senate floor, Democratic conference members, led by Minority Leader Andrea Stewart-Cousins, objected to the unprecedented change in procedure, and expressed dismay that most of their policies were not represented in either the majority or IDC budget proposal. Senator Michael Gianaris, deputy leader of the mainline Democrats, asked for his conference to have a chance to put forth its own resolution, a request that was denied by a chamber vote. The IDC’s resolution, written in broader strokes than the Republican majority’s, suggests that its members are on board with all of the governor’s proposed ethics reforms, including closure of the LLC loophole. While the IDC has some influence with Senate Republicans given that the breakaway conference helps bolster the GOP’s razor thin majority, it is unlikely that influence will extend to significant ethics, voting, or campaign finance reform this year. Assembly Republicans and Senate Democrats again find themselves in similar positions - each trying to win a special election to replace a deposed leader by painting the majority candidate as a product of the man they are vying to replace and symbol of Albany dysfunction. The majority candidates, in turn, face questions about how much government reform they actually support. The races to replace former Assembly Speaker Sheldon Silver, a Manhattan Democrat, and former Senate Majority Leader Dean Skelos, a Long Island Republican, have become testament to the quirkiness of New York politics and the Albany tradition whereby legislative majorities look the other way and promulgate a system long-criticized for a lack of transparency and ethics. To be sure, the Senate race presents a far more likely opportunity for the minority party to pick up a seat, as well as a more consequential potential shift in the house with a near-equal balance of power. Democrats not only hold a far wider voter registration advantage in Manhattan, but in their control of the Assembly. Set for April 19, the two elections are unfolding against the backdrop of budget negotiations in Albany, which Silver and Skelos - along with Gov. Andrew Cuomo - dominated for years. 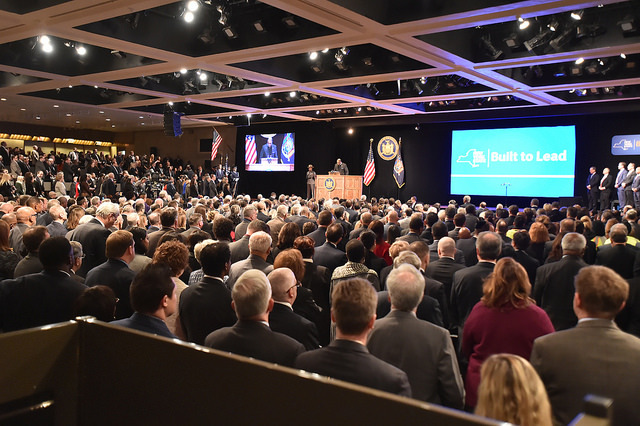 It seemed likely earlier this year that budget season would include ethics reform as a major ingredient, however Cuomo, a Democrat, has rarely mentioned ethics since unveiling a significant reform platform during his State of the State address in January. On Friday, Assembly Speaker Carl Heastie outlined his chamber's ethics plan, which aligns fairly closely with Cuomo's. Senate Republicans, on the other hand, have indicated that they see little need for further reforms to prevent and punish government corruption. Many believe that ethics reforms will be dropped from the budget, where Cuomo has the most leverage to negotiate them if he truly wants them enacted. In the legislative session to follow the budget, there's no urgency like during budget time and this year legislators will be in a hurry to get back to their districts for campaign season. It leaves many Albany observers and actors wondering whether there will be any tangible impact on Albany from the recent corruption convictions besides the two vacancies they created. In the special election to replace Skelos, Democratic Assembly Member Todd Kaminsky, a former federal prosecutor, and Christopher McGrath, a personal injury attorney, face off in the Nassau County district. The stakes are particularly high as control of the 63-seat Senate depends on just a few swing districts. Democrats have tried to paint McGrath as part of the Republican county apparatus that supported Skelos. Senate Republicans have mostly pushed back against ethics reforms such as limiting outside income, closing the LLC loophole, and other tougher campaign finance laws, saying that there will always be bad apples and that previous reforms should be enough. McGrath has said he will not step away from his law practice if elected, something Democrats have seized on as Silver was convicted on charges of using state money in a scheme to receive kickbacks from his law firm. The new Assembly ethics plan unveiled on Friday includes both new limits to what legislators can make in outside income and a mandate that lawyer-legislators must earn their outside income through casework, not simply being "of counsel" at a firm. Democrats have played up Kaminsky's experience as a federal prosecutor and his condemnation of corruption across party lines. 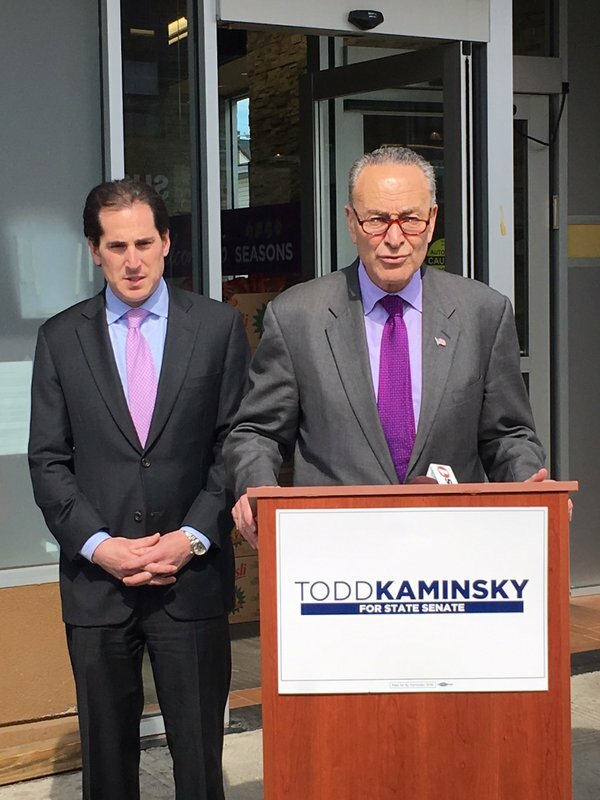 "Todd Kaminsky is exactly who Long Islanders need to clean up Albany," said Senator Chuck Schumer as he endorsed Kaminsky on Friday (pictured). "As a federal corruption prosecutor, Todd took on the tough cases and made sure that if you broke the law, you were held accountable - regardless of whether you are a Democrat or Republican." Republicans have countered that Kaminsky failed to break from Silver during his time as an Assembly member. They have also made Kaminsky's election about Mayor Bill de Blasio, saying that a Democratic majority would be a mechanism for spreading de Blasio's liberal agenda across the state. McGrath has supported Republican-backed measures to strip pensions from lawmakers convicted of corruption and to put term limits on legislative leaders. 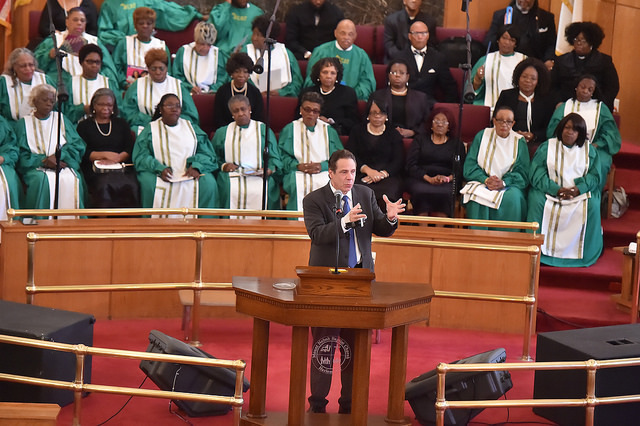 "How can [Todd Kaminsky] say he supports pension forfeiture, term limits for leaders but he and his NYC allies in Assembly won't pass either?" tweeted Republican spokesperson Scott Reif late last month. Reif and Democratic spokesperson Mike Murphy have been regularly engaging in public arguments about the race on Twitter. The forfeiture issue became complicated when Senate Republicans passed a measure that would have any state employee forfeit their pension if convicted and unions pressed the Assembly to back a law limited to elected officials. "Despite all the bluster that ethics reform isn't important I think these convictions have changed their thinking," said Blair Horner of the New York Public Interest Research Group about Senate Republicans. "It's clearly changed their choice in candidates. They've picked a relative outsider in Chris McGrath." Horner said Senate Republicans also chose a relative unknown in their successful 2015 bid to replace Sen. Tom Libous, who was also convicted on federal charges, with relative unknown Fred Akshar. Sen. Michael Gianaris of Queens, who heads the Senate Democratic Campaign Committee, painted McGrath as a "Skelos crony" in an interview with Gotham Gazette. Gianaris referenced a Daily News story that reported McGrath represented a Republican political club and campaign manager and long-time friend of Skelos in a suit brought in 1997 by a former employee of the Nassau County Bridge Authority who said he was forced from his position after trying to remove a number of patronage hires. "What's past is prologue," said Gianaris. "When Nassau County Republicans had ethics trouble years ago they went to Chris McGrath and here they are after Skelos' conviction turning to him again." Democrats have hit McGrath for the association in attack ads. 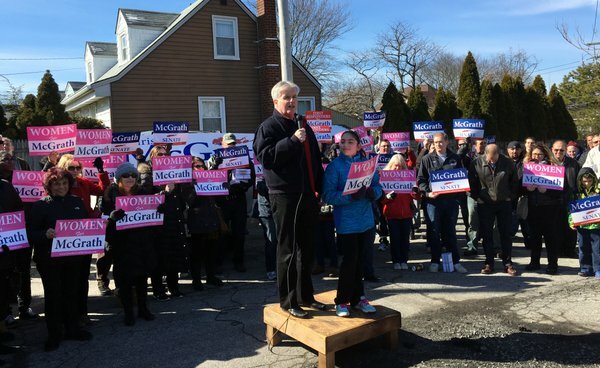 McGrath's campaign and representative of the Republican Majority have said that McGrath simply represented his friend. The race to replace Silver has similar theme, albeit with the shoes on the other feet, but is decidedly lower stakes. Assembly Republicans have little chance of taking a majority in their chamber for the foreseeable future, however winning Silver's seat would be a tremendous moral victory for them. Some Democrats have privately acknowledged that they expect Republican candidate Lester Chang to perform better than expected in what is an extremely Democratic district, thanks to a fractious Democratic nomination process. In that process, local Democrats decided to support a Silver disciple despite condemnation from many Democrats, Republicans, and government watchdogs. District Leader Paul Newell, who previously challenged Silver unsuccessfully, has decided to skip the special election and run in a Democratic primary in the fall when the seat will be up for grabs again. District Leader Jenifer Rajkumar also plans to run at that time. Cancel has done nothing to distance herself from Silver and has in fact praised him repeatedly. "For us, he was a hero — because of the things he brought to our community, because of the schools that we didn't have that were built because of his negotiations to get it done for the community. The money that he poured in for our seniors, for our daycare, for our Head Start. Why would we be attacking him?" Cancel said in an interview with The Lo-Down about the selection process and her candidacy. "I think people are aware of both of those things," Newell told Gotham Gazette. "There is no question he did a lot for his district, but they are also aware that reform is necessary." Manhattan Republican Chair Adele Malpass said that she sees Cancel's candidacy as a clear indication that the Silver indictment had little impact on those in power. "It shows there is no consequence for corruption, there was no message received at all," Malpass told Gotham Gazette. "This was just business as usual. They had eight candidates to choose from and the one they picked was backed by Silver's wife and called him a hero. This is just the party boss system and people are afraid to challenge them." Assembly Minority Leader Brian Kolb, who has been an outspoken critic of the power enjoyed by both legislative majorities and their reticence toward reform, recently headlined a fundraiser for Chang and did some campaigning with him. "It is surprising to me to see Silver indicted, tried and convicted so quickly only to turn around and have his wife, and Judy Rapfogel involved in selecting his replacement," Kolb told Gotham Gazette, referring to Silver's former chief of staff. "And then on top of that, [Cancel] comes out and says [Silver's] a hero." Despite his previous criticism of both majorities Kolb offered a brighter interpretation of how the Senate Majority has handled filling Skelos' seat. "Yes local republicans were involved in the selection process, but Dean Skelos' family was not involved in selecting a candidate," Kolb told Gotham Gazette. "I think Todd Kaminsky is a handsome, experienced prosecutor, but he supported Shelly Silver and he didn't support the [pension] forfeiture amendment." Kolb said that if Chang is elected he will be able to vote his conscience and will not be ordered how to vote by leadership - something he says occurs in both the Senate and Assembly majorities. Horner, of NYPIRG, said he suspects that Gov. Cuomo and both majorities have been working to tamp down discussion of reform because it benefits them politically. "It's pretty clear the political establishment in New York does not want to allow any oxygen into the room on ethics," Horner told Gotham Gazette. "That air fuels the fire of voters anger and they want it to burn out, they want to smother. If it's not in the budget then I assume they will do it in June and they are hoping by then people won't be as angry. We need a champion and the governor is the obvious person to be that champion but he is choosing not to do it." It is unclear how much the Silver and Skelos convictions or the former leaders' ties to candidates seeking to replace them will have on voters. But, about 9 in 10 New Yorkers recently polled called government corruption a "very serious" or "somewhat serious" problem in state government. 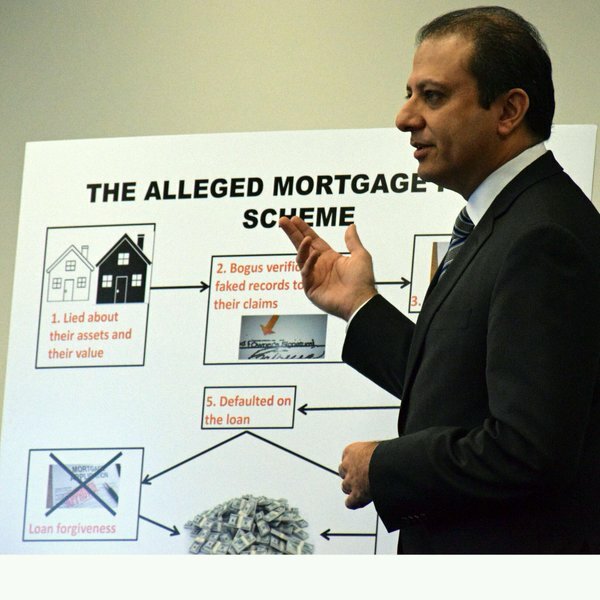 U.S. Attorney Preet Bharara, who took down both Silver and Skelos, has repeatedly said that corruption in government is cultural, not partisan or regional. "In recent times, the New York Legislature has been marked by regular bribery, rampant kickbacks and a rancid culture," Bharara said during a talk in Albany last month. "Recent events paint a portrait of the show me the money culture in the worst possible way. It continues, by the way, to be a bipartisan affair, Republican and Democrat, in the Assembly and in the Senate, upstate and downstate."